Benjamin Netanyahu appears to have won a historic fifth term as Israel’s prime minister yesterday. Unofficial election results show his right-wing Likud and other nationalist and religious parties with a solid majority. Final results are expected today. But the country could face weeks of political negotiations over who will form the ruling coalition. Long-time Israeli leader Netanyahu fought a tight race against centrist ex-military chief Benny Gantz, whose Blue and White party emerged as an alternative to Netanyahu’s Likud party. The spotlight now falls on Israel’s president, Reuven Rivlin. He will consult with party representatives next week before picking the candidate with the best chance of assembling a majority in parliament. That choice seems likely to be Netanyahu. A victory would mark a fourth consecutive term and fifth overall for Netanyahu, making him Israel’s longest-ever serving leader, surpassing founding father David Ben-Gurion. 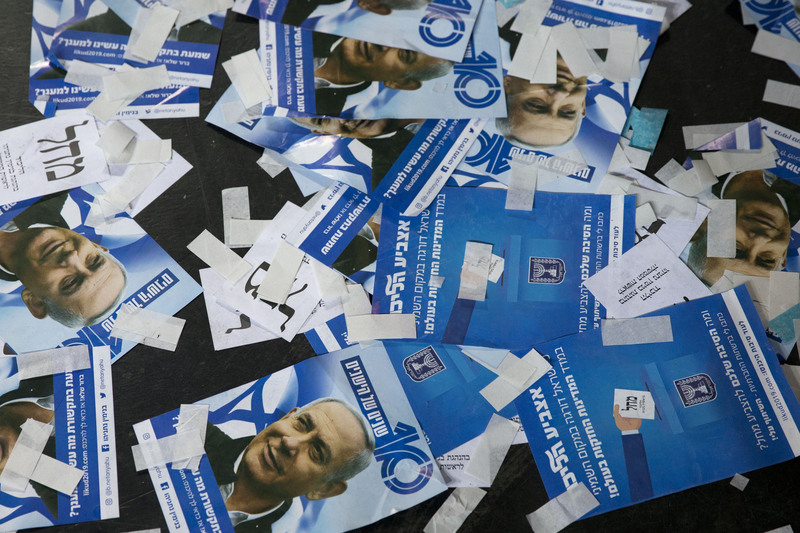 “It’s a night of tremendous victory,” Netanyahu told supporters. The 69-year-old Netanyahu has been the dominant force in Israeli politics for the past two decades. His campaign focused heavily on his friendship with President Donald Trump and his success in cultivating new allies, such as China, India, and Brazil. Gantz, who had two other former military chiefs on his ticket, was able to challenge Netanyahu on security issues, normally the prime minister’s strength. Gantz also pointed out the prime minister’s alleged ethical lapses—since several corruption charges have been dogging Netanyahu. Israel’s attorney general has recommended charging Netanyahu with bribery, breach of trust, and fraud in three cases and a potential fourth case emerged during the campaign. So Netanyahu’s biggest battles may be yet to come. Wow, I wonder how crazy his next term could get? I hope this guy is a good prime minister. Five terms... Wow. He has to be good for five terms. Doesn't he. I mean five terms that's a lot. I forgot to say third comment. 5 terms? doesn't he want to retire? 5 TERMS!!!!! *o* WO!!!! so that must mean the people rilly like him? or they dont have any other choise? i dont know how crazy this is going to get?! well did you know that one of china's leaders served for 60 years!!!?? we learnd that in historie this year. question? is anyone learning Spanish? I am learning Spanish. Me and some other homeschooling friends along w/ my sister and brother meet weekly with a Spanish teacher. oh! a spanish teacher wow!! My dad is from argentina and he helps me a lot. I learn of the computer with rosetta stone veron 3 homshool. thats neat to have a spanish teacher! This is of topic but it's my parents anniversary! They have been married 14 years! The Bible Words is true, There is no authority except from God, and those that exist have been instituted by God. Yes, I am learning Spanish. It's cool that you and Elsie are too! The people must really like him for him to have five terms! Tell your parents happy anniversary as well!! My parents have been married for 23 years. wow!! i would say but my dad seas that's to personal to put on the internet! Wow! I think this guy's done pretty good, but I really don't know that much. I've learned some Spanish too. I know that you learn spanish! (THIS IS ANDREW H.) To everyone. Un, guys? Back on subject? Benjamin Netanyahu? Not Spanish! Thanks. Okay sorry! They really should make a chat room!! !